It’s something everyone would like to avoid, but it’s sometimes inevitable to experience pests. It can be caused by nearby building work that disrupts their usual habitat or through unknown damage to the property that allows them to get in. Whatever the reason is, once you’ve got it, you want to get rid of them before you become infested. So here is what to do when you’ve got a pest problem. Pests are something we were very aware of when building our home, and here are a few steps we take to avoid any potential pest problems. Pests and vermin will find their way in if you have gaping holes dotted around your property. So the first thing you want to tackle is sealing up all the entry points because that will stop any more getting in. Have a builder come round the property and do a thorough inspection of the house to seal up anything that’s cracked open or damaged. You might also benefit from a drain survey as this one way the pests, and vermin can get in if exposed. Sealing up your home will also solve any heat leaking out and your home will be warmer. It might be that you have food packaging out on the worktops or on your shelves. Vermin will eat through most materials to get to the food. So for anything that’s open or easily accessible for them to chew through, seal it up in a container or store it in the fridge or a lockable cupboard. You’re feeding them so it’ll mean that they’ll keep coming back, breed and bring more back with them. There are a variety of traps you can lay down, some more humane than others. There are your traditional mouse traps, and then there’s ones that captures the mice but doesn’t kill them. It is advised though to set them free as far away from your property as possible as they have a very clever knack of following your scent back to the home. For any bee or wasp nests near the home, you’ll want to avoid disturbing these and instead phone the local council to remove it. Cockroaches are best dealt with a professional, as well as the dreaded bed bugs. Silverfish are also quite a common pest as they can thrive in damp conditions like the kitchen or bathroom. They can normally be dealt with using a household insecticide from a DIY store. And if it gets to the point where your place is invested, then it’s time to call in the professionals. An exterminator will normally lay traps and poison and then return a few weeks later to reassess and lay down more if needed. This can be a long process, with you most of the time, having to deal with the disposal of vermin or pests. So to best avoid this, follow all of the tips above to reduce the chances of infestation. The basic rules of keeping your property clean, storing food away and sealing up entry points will hopefully stop anything from coming in. 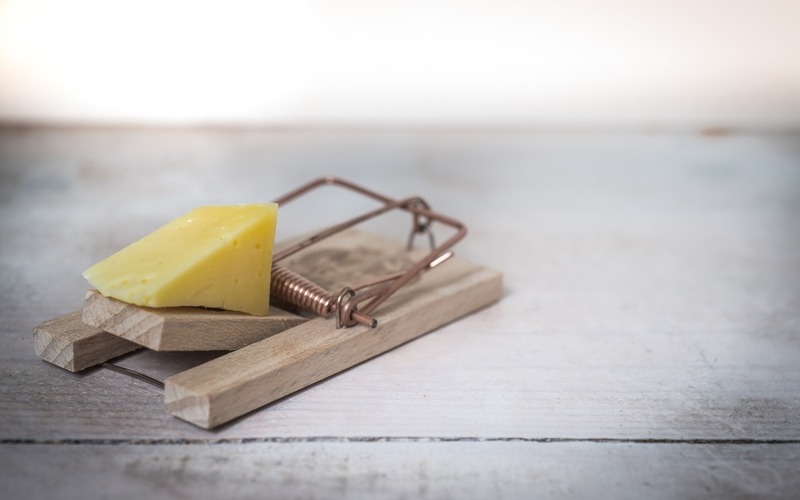 Pests and vermin are never a welcome addition to any home, but if you’ve had them in the past you are likely to have dealt with getting rid of them. If you have any additional tips please let us know in the comments section below.